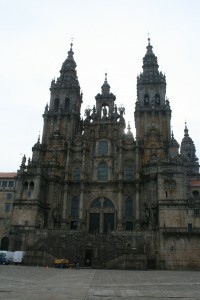 We started the day off in front of the Catedral de Santiago. This is the end of the pilgrimage route from France through the northern part of Spain. The plaza it faces is home to many of the government buildings for the region.